Reaching the real person in an industry you intent to market your product or getting information of their product is a worthwhile effort. In this age of fast growing telecommunication Email is the most useful and authentic source. 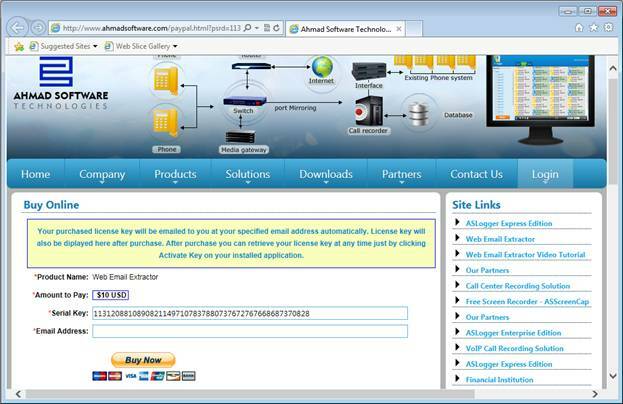 We make it easy for you to get authentic Email addresses with our product "Web Email Extractor". 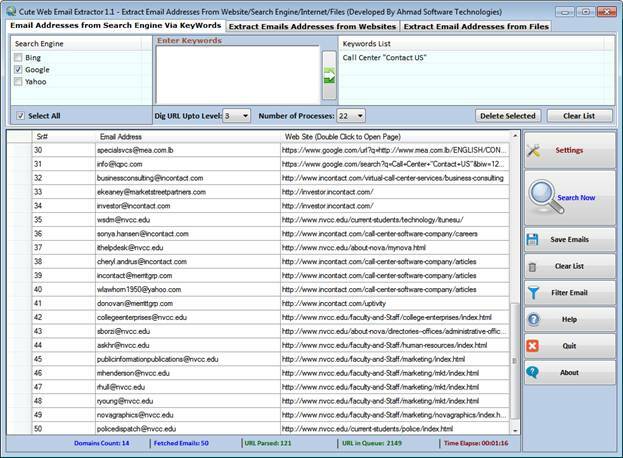 With Web Email Extractor you can search Email addresses of contact person in an organization or industry whatsoever is there on popular search engines i.e. Bing, Google, Yahoo, etc. 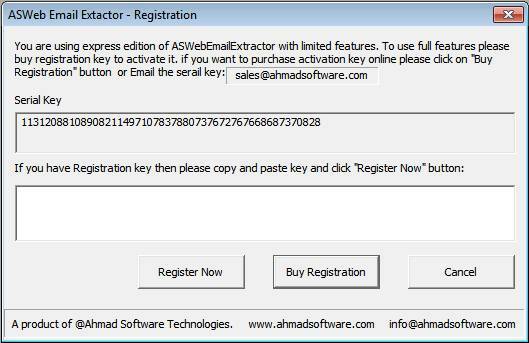 Web Email Extractor is a very powerful and reliable tool to extract e-mail addresses from Internet/WEB/URLs/Websites or even from your local files on computer. It can automatically search all of the email addresses from web pages and retrieves absolutely all valid e-mail addresses and generates an output file with only good and well formatted e-mail addresses without duplicates. 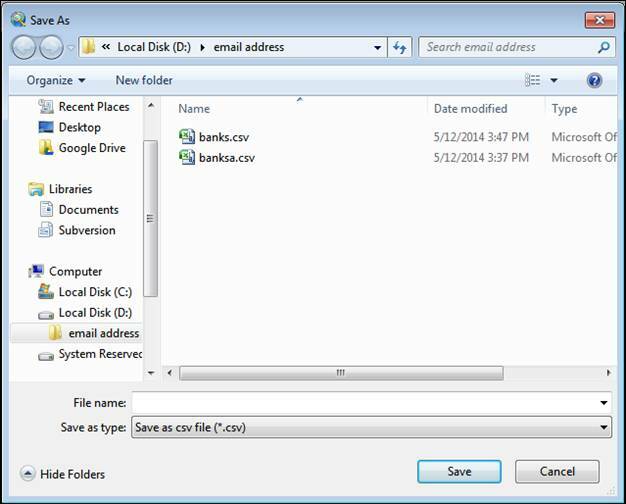 Web Email Extractor can save extracted email addresses in many formats such as .CSV files (Opens in EXCEL), TAB delimited (.txt files) format opens in NOTEPAD. 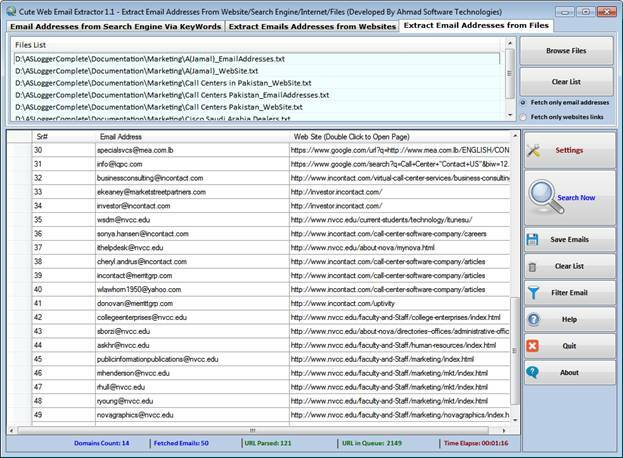 Web Email Extractor allows you to define emails searching criteria so that you can get a list of email addresses only those you actually need from web-pages instead of all email addresses thereby reducing your time. 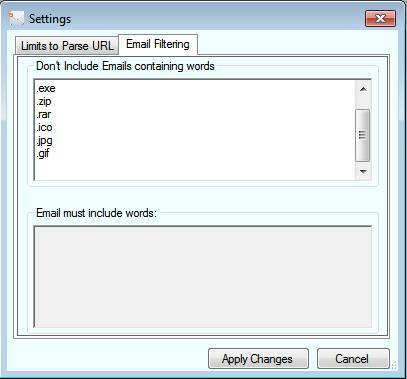 Web Email Extractor also allows you to filter email addresses duringsaving in file. Enter your search keywords in box “ ” and click on button “ ”. You can add multiple keywords per line in the box. Now you have to select search engine from where you want to search email addresses. Maximum levels below root page to crawl. If value is 0, the homepage will be crawled but none of its links will be crawled. If the level is 1, the homepage and its links will be crawled but none of the links links will be crawled. 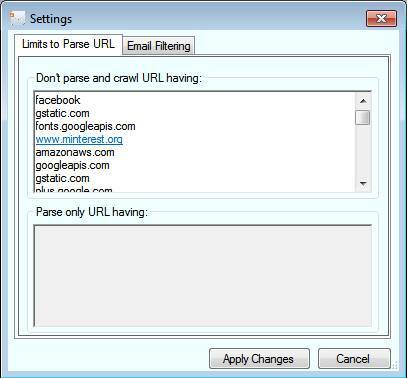 If your want to crawler searched sites external links then this value must be at least 3. It means how many processes will be created to process your search criteria. Processing speed will be as much faster as the number of processes. Keywords list that you have added. To clear keywords list click on button . Please select search engine from where you want to get your desired email addresses. On adding your search criteria, click on “Search Now” Button. Below is the processing screen that shows which URL is currently in process. You can stop the processing at any time. You can pause/resume processing any time. It is better to pause processing instead of stopping processing. You can save files in CVS (Opens in Excel and Open Office), and .txt format. Note: Please note that this feature is not available in free/trial version therefore to get this feature you have to activate the software for full feature version. · If you have registration key then please enter in second box and click button. Please carefully read instructions on the page. Write your email address and click “Buy Now” Button. On successful buy, registration key will be emailed to you. Pick your registration key from your email and put in “registration” box and click “Register Now”. Point 1.1.1 to 1.1.16 will be repeated for “Extract Addresses from Web Sites”. 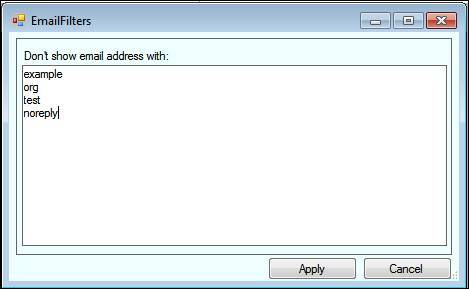 Enter site link in box from where you want to extract email addresses and click button. You can add multiple Sites simultaneously by separating space or new line. Your added websites list will look like the below screen. 1.2.3 How to Crawl Sites? 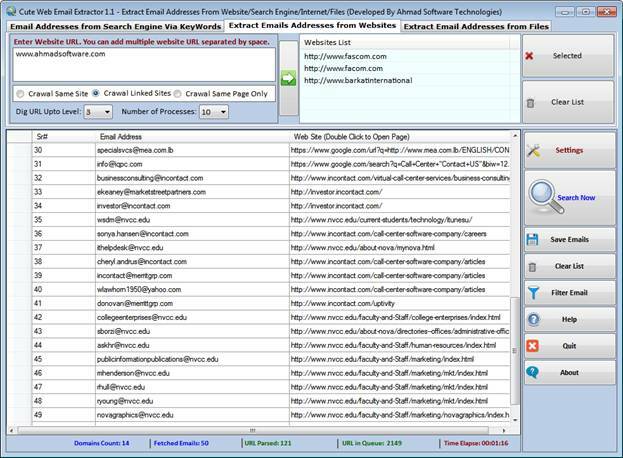 · Click browse button and select the files from where you want to extract email addresses or websites links. 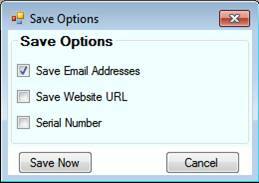 · Select option if you want to fetch only email addresses from the selected files. · Select option if you want to fetch only websites links from the selected files.